There was a joke that came from the first great dotcom disaster, that when incubators spring up to incubate nascent incubators, there is a problem. It was true. I’ve recently had the good fortune to meet and befriend a Chicago-based team building what is quite simply the most audacious incubator. Or the silliest. They launch this week, so consider this your preview. Meet Junto, a Second City idea that is designed to help non-technical people build the web company of their dreams. However, unlike with most incubators which provide free coffee, white boards, and often some cash, Junto does not. Instead, Junto provides a platform and a team. It works like this: Non-technical people apply to be a part of Junto. No surprise there, as over 99% of all business ideas are laughably foolish. Junto picks the ones that it feels have the most potential, talks to them, and they decide on a budget; what is going to cost to get this thing launched? From there, with the figure in mind, the founder raises money. They can do this in any way that they wish, but Junto provides the aforementioned platform to help them do so right on its own website. The money that is needed, where it will be spent, and so forth are all public. The on-site fundraising cycle is much like Kickstarter, if you need a comparison. Once the amount is reached, the Junto team (a collection of developers, designers, and so forth) jump into work and build out the idea. The cash raised pays the Junto team, who are treating their entire enterprise as a labor of love, and the founder leaves with their equity pile intact. The platform will integrate with AngelList immediately, providing every possible avenue for the budding companies to get their dollar on. Junto only takes a 5% profit share going forward, allowing itself some upside with little damage done to the people who it worked with. Let’s get back into the Junto platform, which is frankly the reason why any entrepreneur would want to build with this group as opposed to going on their own. On the Junto website is a rapid feedback and testing loop that helps keep projects focused and on track. Those who have donated to projects are polled, and used as an informal testing community. Also, people with certain skills can apply to be mentors on the site to specific projects. See something that you like? Know how to help the team? Join on as a mentor and get your hands dirty. In a fit of meta, Junto raised $10,000 to help fund its own construction from the community. It was a proof of sorts, that its model is more than bits of fluff attached to dreams. Of course, the core Junto team has invested far more than a mere single stack of high society over the past six months into the project, but it has shown that what it is up to has legs. Is Junto, given its funding method, even an incubator? In a way, it is. As Junto provides mentoring, assistance, and all sorts of other help to companies that it is helping to build, it must be viewed as a value-add proposition. Of course, that statement depends on the competence of the Junto team, but so far, through talks with them, I’m frankly unconcerned with the issue. Oh, and it’s pronounced juhn-toe, not the Spanish junto. You have been pronouncing it wrong. Don’t worry, everyone does. The matching of non-technical people with a functional idea to a platform to raise capital, and then have their concept rapidly brought to life by a competent, and extant team is very attractive. 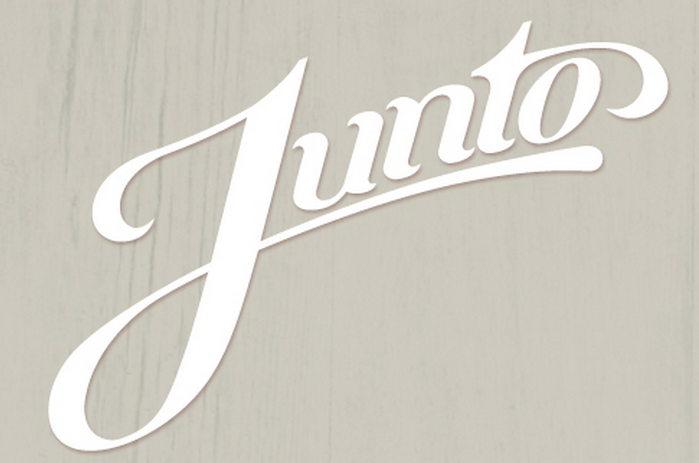 Junto has had no lack of companies applying to take part. The team wants to be working on 4 to 8 projects concurrently. Obviously, it is staffing up. There are two issues that Junto will be forced to deal with. Primarily, money will be difficult, as it always is. Its entire idea is predicated that people can effectively leverage a community and the ‘crowd’ to raise enough money to build. If they don’t, Junto itself sits idle and burns cash. And as it has so far turned down raising capital from investors, that is not an attractive, or sustainable proposition. The team told me that it expects projects that have a community behind them to be the most effective in fundraising, but that given how low the dollar figures are (we are talking tens, not hundreds of thousands), drumming up the money should be feasible. Secondly, Junto is betting that there are enough smart people with solid ideas out in the market to keep busy. There are certainly enough hacks, but is there enough competency in the market that is untapped? There will certainly be at the start, but if it will sustain is an open question. I spend enough time around people of this ilk, non-tech but neck-forward, to have some doubt on this question. Off course, if Junto ever gets bored, or slack, it will possess a honed team to build anything that it wants. To be frank, if Junto runs well, it’s employees are going to be prime headhunting targets, having worked on so many different rapid projects; their skills will be in high demand. So then, what next? Junto goes live this week with its first batch of six companies that are looking to raise their cash to go. The Junto team itself has been rearranging the pillows on the couches to ensure that there are no holes in its platform; it has to have every tool in place to take an idea and make it go boom. That means development, design, testing, feedback, user and data acquisition, and so forth. It’s a lot to have straight. I’m attracted to Junto because of how abnormal it is. Instead of building yet another incubator, which it could have done, it’s taking a fresh tack on an old idea, and it has the potential to empower a new crop of entrepreneurs. A new sort of entrepreneurs even. That is laudable on its own. But it won’t, as we noted, be easy. What sort of projects will be built? On its super-secret site, which my eyes have seen, the only project that is detailed is a play to help old people (boomers) find people to do things with. The plan appears to be functional and the founder experienced. And it is easy to take money from those who have it, it’s target demographic, so it might work. The Junto team intends to interact with local Windy City-friendly assets, such as BuiltInChicago to help get the word out, but for its launch it has planned little more than a turning on of the lights. If they change their mind and do decide to have a party, I’ll see you there. In a mere half-year, Junto has gone from an idea to a platform to build out the ideas of others. “We’re not in this to get rich,” founder Marcy Capron told TNW, but because herself and her partners love building. Perhaps that is the mentality that something like Junto needs, an uncommon viewpoint for a wonky project. We’ll see how it goes. I’m going to keep an eye on it.